How do you distinguish your blog among the very many millions of other blogs on the internet? 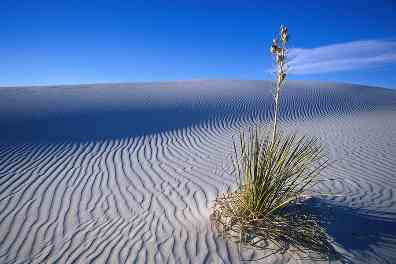 How can it be possible for someone to find your needle in the immense haystack or your grain of sand on the long beach? It’s only possible if you restrict your interest to a specialist topic. To distinguish your blog, and capture an audience, you must focus on a niche product or a niche service. This is the secret to establishing regular followers for your blog. This search for your niche position is just the very beginning of your journey into successful blogging. The niche product or service that will distinguish your blog is your blog’s foundation stone. It’s your unique idea for this niche from where the rest of your blog is constructed. So, don’t forget that the competition for your readers is growing, not declining or stagnant, every single day and, therefore, your niche definition must be good, very good. Otherwise, you don’t distinguish your blog from the rest and you will only get your mum, brother, and next door neighbour’s cat reading your blog. Your blog needs to offer something different to others focusing on the same product or service. In the effort to distinguish your blog, you’ll need to investigate your competition. Look at two dozen popular blogs with high Google Page Rank and high Alexa Rank. These blogs should already be offering a similar product or service to your own niche. How can you do a similar thing but in a more noticeable or helpful way? You can distinguish your blog by adopting an identifiable style to set you apart from your competitors. The most popular personal blogs in 2011 are those where the personality of the blogger shines through their writing. Sometimes, they may even be outspoken. Look at the blogs of popular blogging personalities. How would they distinguish your blog for you, if they were to be allocated the task? Look at the favicon, logo, header and other page furniture used by the most popular bloggers. Do all these items give a coherent message, aligned with the personality of the famous blogger? To distinguish your blog, how would you use these items to identify you, your blog, and your own personal style? Obviously, the content must also be in harmony with your site design and your personality to give one unique message to all your readers. So, to distinguish your blog, you will have identified the concept and honed into a niche product or service that you are personally interested in. You will be ready to depict your personality through the design of the blog. But how do you get people to come and visit your blog? Having taken the time to distinguish your blog, the final step is to create a plan to market your blog. Your marketing plan should describe how readers will find your blog, in numbers. Your form and content will distinguish your blog and keep your readers coming back for more! Great post! Recently I made a couple of niche blogs as well. Hope they'll pop up in the search engine rank. I would like to add, in building niche blogs, the keyword research plays an important role. You may spent lots of time for this but it's worth the effort. You may need a high search volume keywords, low competition and profitable (CPC etc...) otherwise , it would be hard to rank for. One of the tools I used is market samurai, try it and you'll love it!